London has always been one of the most popular holiday destinations among shopping lovers from all over the world. There are plenty of shopping centers, shopping streets and large shopping malls in the capital of the United Kingdom. All shopping areas in London are different from one another and are famous for their own unique range of designer shops, luxury boutiques, exclusive jewellery and great things you can buy there. Together with our London locals we’ve created a list of the best places and outlets in London to make sure you don’t miss out on a chance to indulge in shopping. 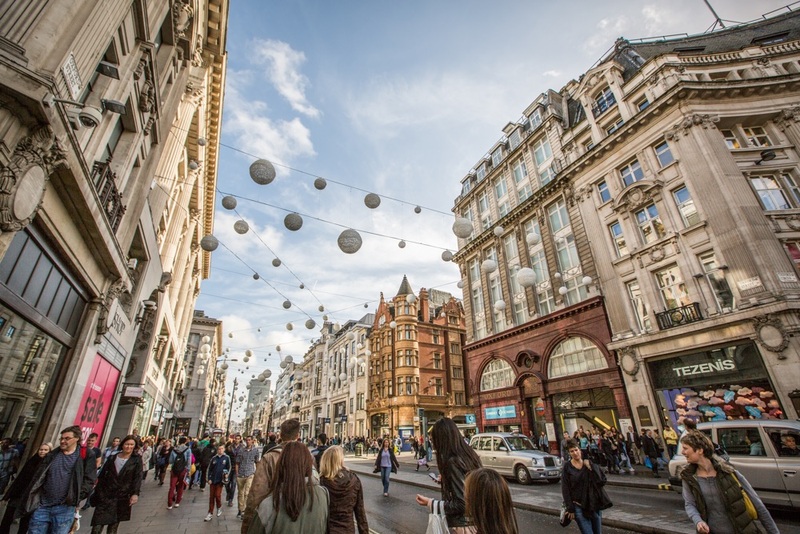 Oxford Street is, perhaps, the most famous and beloved shopping street in London with more than 300 landmark shops, shopping centers and designer outlets. Oxford Street is home to Selfridges department store (400 Oxford Street) boasting with six floors of cutting-edge shopping stores , boutiques and massive designer brands. Apart from that, there is a well-stocked beauty hall with its own chic manicure station. Opening times: 9.30am-9pm Mon-Sat; 11.30am-6pm Sun. Among other famous department stores you will be able to find here John Lewis and Debenhams branches. For some bargain shopping, check out Primark store (14-28 Oxford Street). It is a popular budget clothing chain where you can buy anything you want at cheap prices. If you are more into something hipster-like on a budget, then Urban Outfitters (469 Oxford Street) is definitely for you. Look for the latest fashion trends and catwalk clothes designs in Zara (61 Oxford Street) and the largest Topshop shopping outlet (214 Oxford Street) with an incredibly wide choice of clothes and accessories. 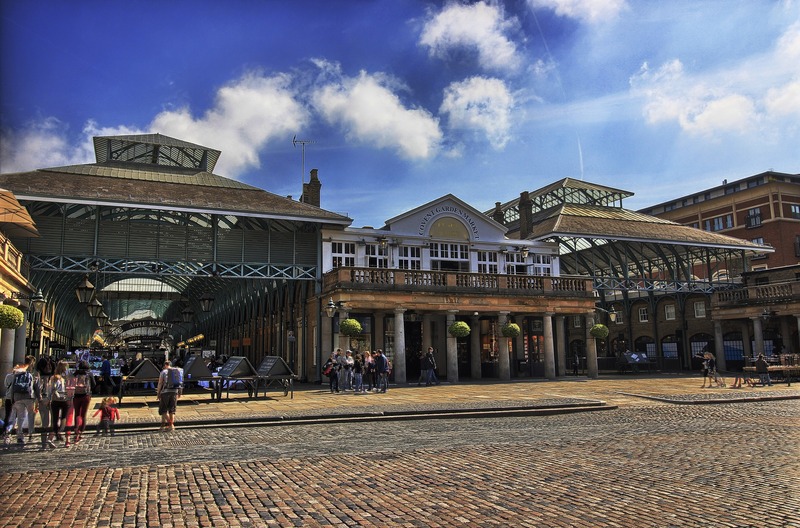 Covent Garden is another great place to plunge into shopping in London. The neighbourhood offers an enormous variety of brands to stock, from Apple and Benjamin Pollock’s Toy Shop, to Armani and Chanel famous designer shops. Explore the streets in the area of the old market hall, especially Neal’s Yard, Floral Street and St Martin’s Courtyard. Apple Market (open from 10am till 6pm) is the most famous shopping destination here offering British handmade crafts, leather goods, jewellery and other products of authentic artisan work. Make sure you also pay a visit to the Jubilee Market on Monday to find some amazing antique goods. 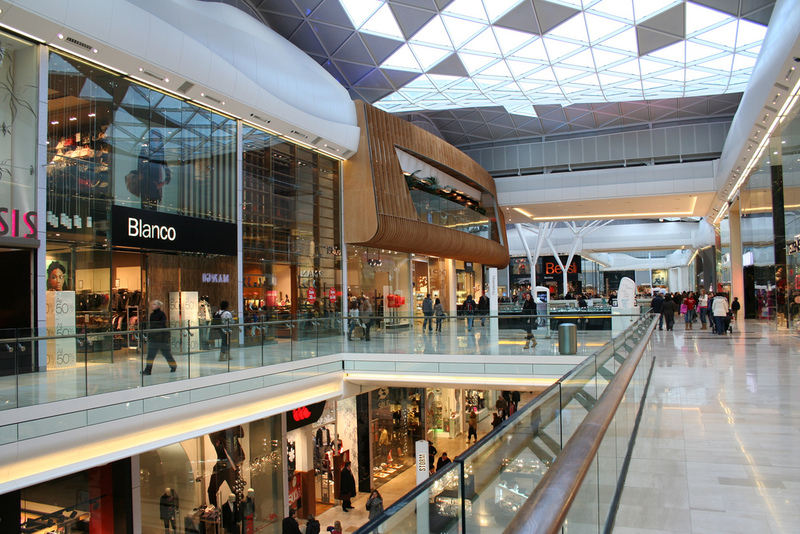 There are two large Westfield shopping centres in London: Westfield London (Ariel Way Shepherds Bush, W12 7GF) and Westfield Stratford City (Montfichet Road, Olympic Park East London, E20 1EJ). Westfield London houses more than 40 luxury brands under one roof, ranging from premium watches and jewellery brands, such as Breitling, Omega and Tiffany & Co., to clothes fashion brands, such as Burberry, Gucci and Louis Vuitton, and even Bentley Studio London. Westfield London Village is great not only for shopping. Many events, various master classes and fun parties take place there. Check out the official website for cool free events. Nearest London tube station: White City or Shepherd’s Bush. Westfield Stratford City is the largest shopping centre not only in London, but in the whole Europe with over 250 shops and 70 places to dine out located here. 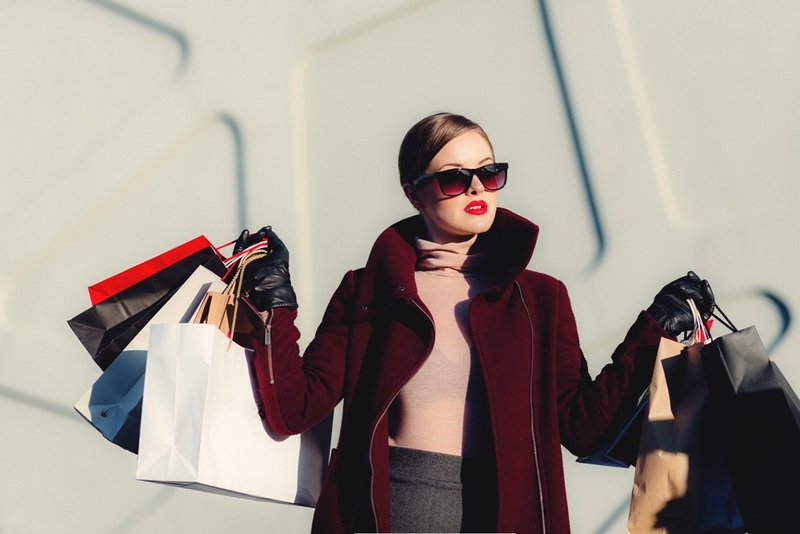 The shopping mall is always home to world-class entertainment facilities, such as all digital Vue Cinema, All Star Lanes bowling center and a large Aspers Casino. You can definitely spend a whole day here engaged in shopping and exciting activities. Check out the official website for announcements of kids entertainment events, free festivals and fun activities in Westfield Stratford city. Nearest London tube station: Stratford. This is especially interesting for gentlemen coming to London to buy an excellent, perfectly tailored handmade suit. Savile Row is famous worldwide for the bespoke quality of men’s suits. 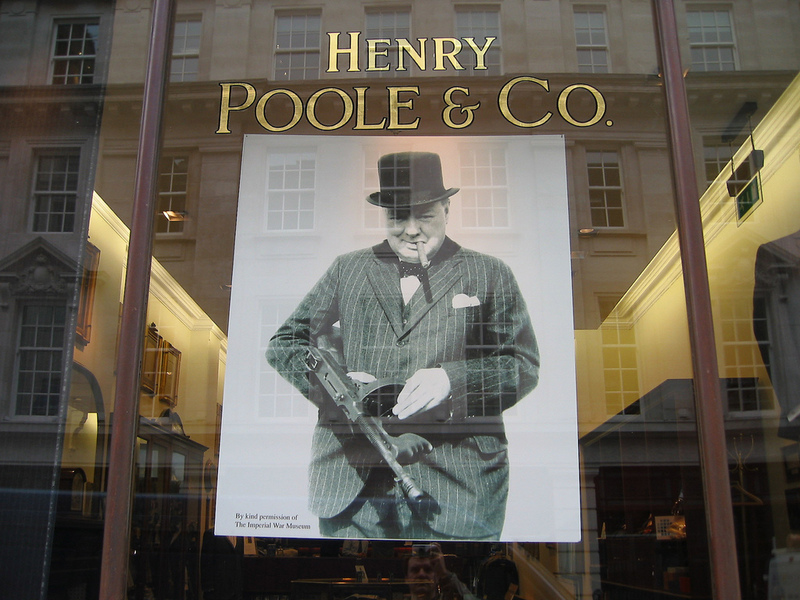 Henry Poole & Co. (Savile Row 15) is the first Savile Row tailor renowned for inventing tuxedo. Among other top notch men’s clothes shops there are Glewes and Hawkes (Savile Row 1), a famous American designer brand Abercrombie & Fitch (Burlington Gardens 7) and Huntsman & Sons (Savile Row 11). Definitely a heaven for a British gentleman. Nearest London tube station: Bond Street or Piccadilly Circus. Camden is a perfect destination for those interested in alternative and unusual shopping. There are plenty of shops selling gothic and punk clothes along Camden High Street, together with tattoo and piercing centers. But this is not it! 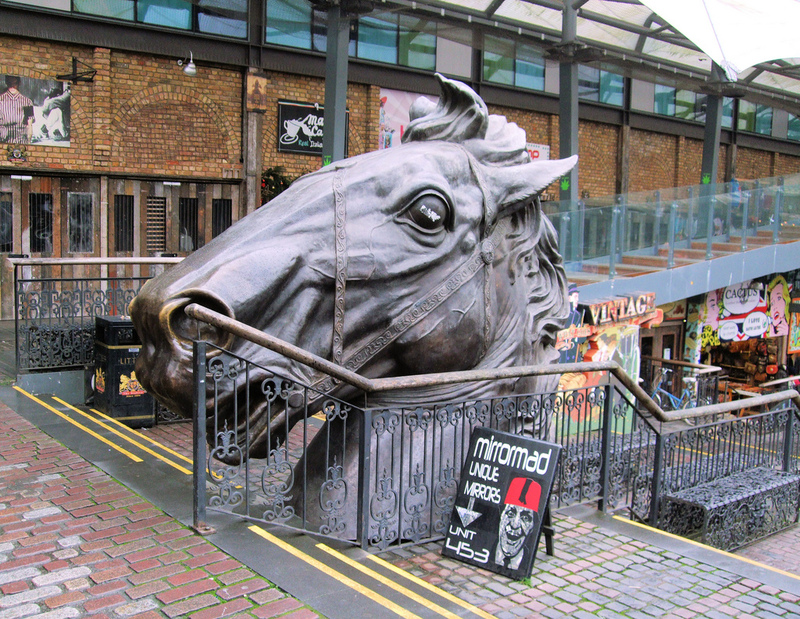 Head further ahead towards Camden Lock Market – thriving vintage and handmade market area. There are more than a thousand unique shops, stalls, alternative bars and hipster cafes. They often organize concerts of famous music bands, master classes, comedy nights, fun quests and more cool events. Check out the official website of Camden Lock Market for fresh announcements. Nearest London tube station: Camden Town. 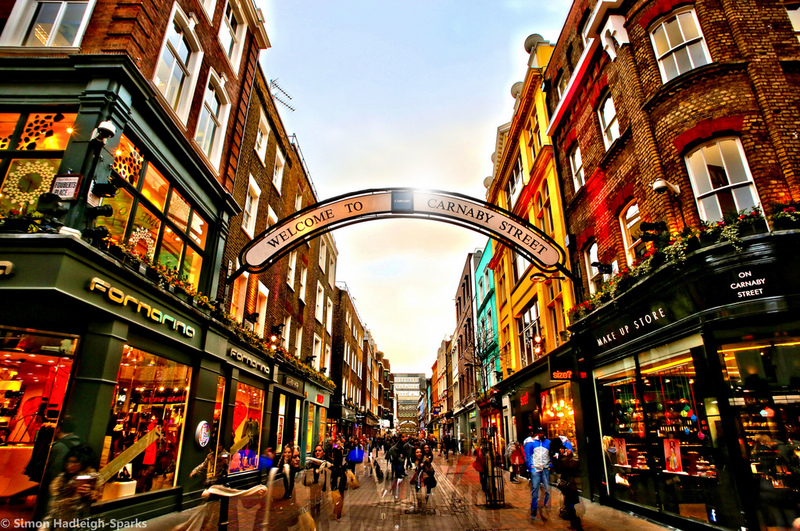 Carnaby Street is famous worldwide being a London hub for high end and independent fashion and lifestyle brands with more than 150 shops and 60 iconic British pubs, restaurants and cafes. Here travelers can enjoy 30 different cuisines from all over the world. In fact, London Fashion Week will take place here from September 15 till September 19 in 2017. Walk along Newburgh Quarter to plunge in diverse, one-of-a-king shopping experience. Here fashion lovers will be able to shop for such clothes brands as the Ragged Priest, The Face, Lazy Oaf, and other flagship independent shopping stores. Alongside with clothes, don’t miss an opportunity to get luxury bicycle hardware and accessories at Shinola (28 Foubert’s Place), handcrafted jewellery at Mor (12 Ganton Street) and the Great Frog (10 Ganton Street), premium spectacles at Cubitts (37 Marshall Street), and more. Make sure you explore all the stores and pick something to your taste. Visit Kingly Court for delicious food served in 21 best international concept restaurants all under one roof in a three-storey dining centre. Nearest London tube station: Oxford Circus and Piccadilly Circus. 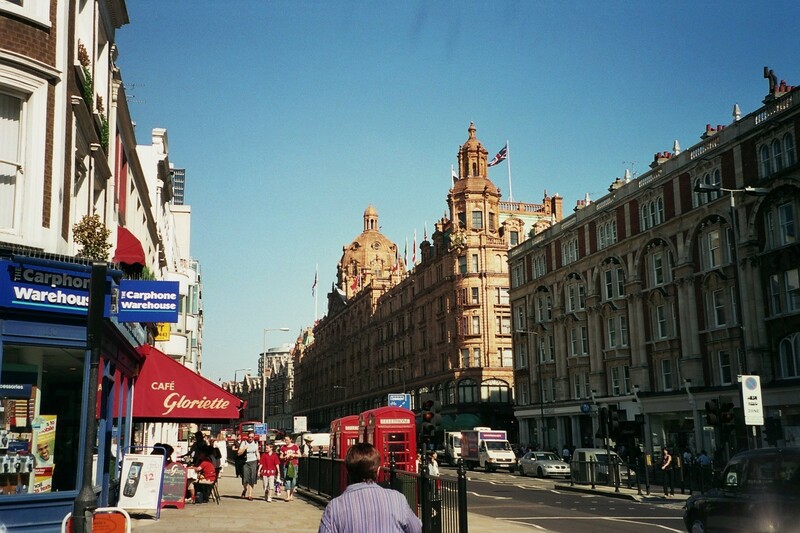 Another iconic shopping area in London is Knightsbridge famous for illustrious department stores and world firsts. Arguable the most popular shop in the world, Harrods (87-135 Brompton Road) is definitely the best place here to indulge in premium shopping experience. With seven floors and 330 departments Harrods is definitely a dream destination for luxury shopping lovers. There is also an impressing food area housing 27 various restaurants to cater to taste to any visitor. Opening hours: 10am till 9pm. If you are on a lookout for big names and top fashion designer shops, you should walk along Sloane Street lined with such shopping stores as Chanel (Sloane Street 169), Louis Vuitton (Sloane Street 190/192), Gucci (Sloane Street 18), Tom Ford (Sloane Street 201-202), Salvator Ferragamo (Sloane Street 207) and more. Nearest London tube station: Knightsbridge. 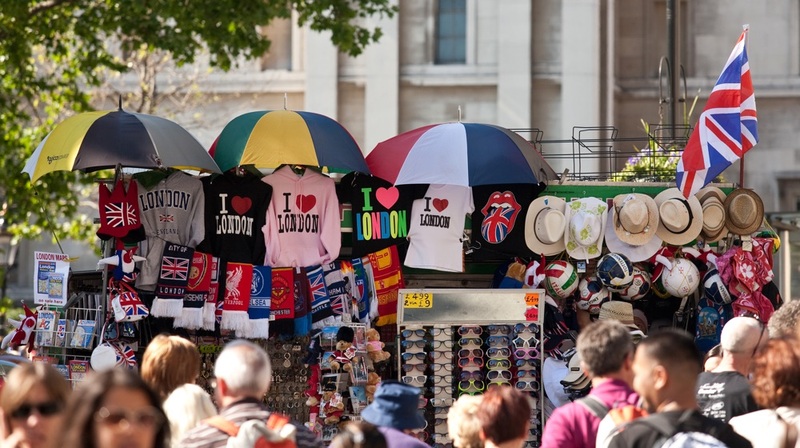 If you are looking for ways to go shopping not only for clothes and accessories for yourself but buy some British souvenirs and gifts for your beloved and dear ones, here are some useful gift ideas we have compiled together with frequent London travelers and Londoners. We hope that these British gifts and souvenirs from London will save you time and help make up your mind on what to bring home from the UK capital. What do you like to shop for in London? Tell us in the comments below. Book personal travel services from London locals to make your trip comfortable and carefree by clicking on the orange button below! What do you like to shop for in the UK capital? What are your favorite shopping centres in London? Tell us in the comments below. Join our community to MeetnGreet each other around the world. Sign up now and get an early-member account. © MeetnGreetMe. All rights reserved.